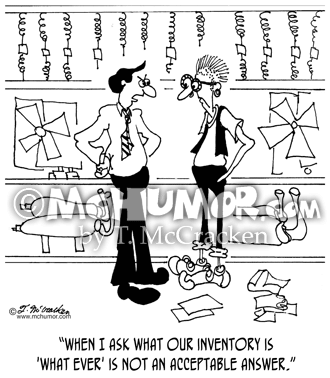 Inventory Cartoon 6636: A man saying to a younger clerk at an auto body shop, "When I ask what our inventory is 'What ever' is not an acceptable answer." 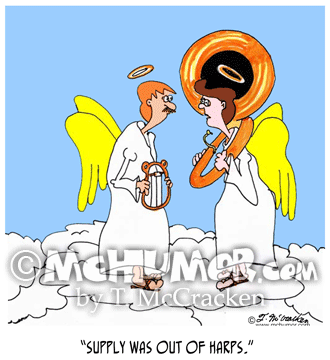 Business Cartoon 4995: A tired angel in heaven lugging a tuba explaining, "Supply was out of harps." 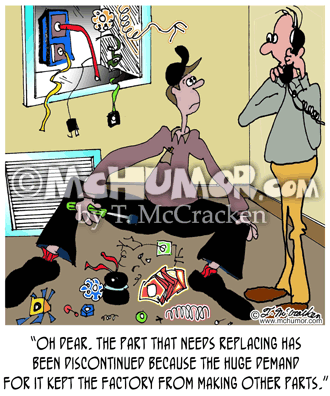 HVAC Cartoon 7466: An HVAC Engineer on a phone stands in the middle of a dismantled air conditioning system while holding a weird widget. 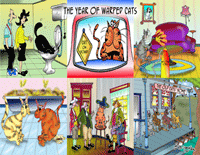 "Oh dear. 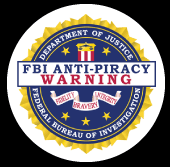 The part that needs replacing has been discontinued because the huge demand for it kept the factory from making other parts." 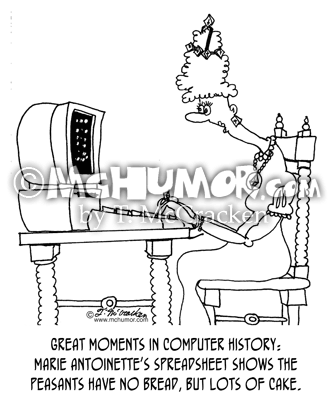 History Cartoon 5396: Great Moments in Computer History: Marie Antoinette's spreadsheet shows the peasants have no bread, but lots of cake. 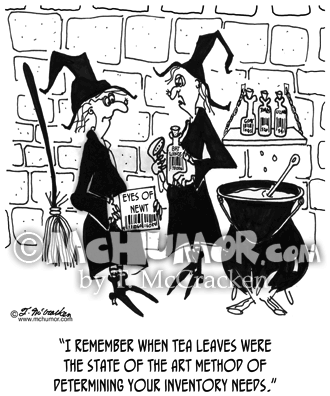 Barcode Cartoon 5229: A witch holding a box of "Eyes of Newt" with a bar code on it says, "I remember when tea leaves were the state of the art method of determining your inventory needs." 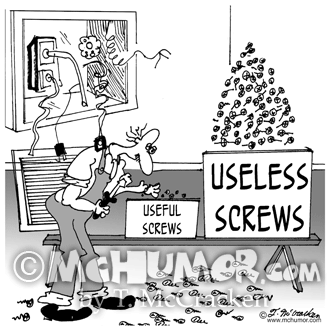 HVAC Cartoon 7673: An HVAC repairman has a small box marked "Useful Screws" next to a huge box of "Useless Screws." 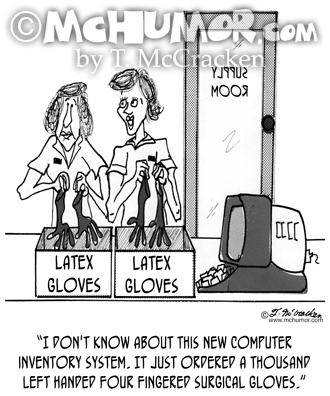 Inventory Cartoon 6634: Merchandise floating around an auto parts warehouse. 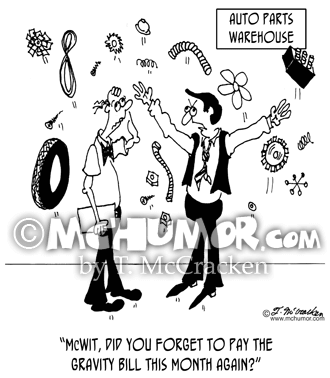 A man says to another, "McWit, did you forget to pay the gravity bill this month again?"